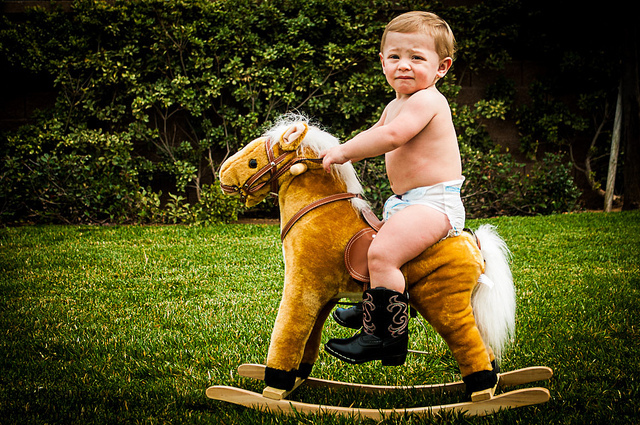 You may remember the Waylon Jennings/Willie Nelson hit from the mid-70’s that started, “Mammas, don’t let your babies grow up to be cowboys.” There’s probably less chance to become a cowboy these days — but if you change the line to “Mammas, don’t let your babies grow up to be child care teachers” it would hold up! In 2004, child care aides on average made $10.68 an hour, adjusted for inflation. In 2014, they made $10.70 an hour. That’s a 2-cent per hour increase in a decade — and that’s also a doorway to poverty. Today’s child care teachers make about $26,000 a year. For child care supervisors, their income has actually fallen by $1,000 since 2004. It is now hovering at $31,000 a year. State legislators passed the Early Start Act last year, and boosted funding for the Department of Early Learning by $133 million. The bulk of those funds will support bigger state reimbursements to child care providers for caring for low-income kids. But that’s a wobbly structure. The foundation for high-quality early learning is a highly competent teacher and caregiver. And what determines that? Education, professionalization and compensation. The Legislature has turned a blind eye to Washington’s youngest residents by passing legislation (like the Early Start Act) that talks a lot about high-quality child care, with nary a word about teacher compensation. In fact, the state once had a career and wage ladder for early learning teachers and caregivers. It rewarded teachers with extra increments of pay for additional education and longevity in the profession. Many legislative champions for early learning worked to pass this into law over a decade ago, including Majority Caucus Chairman Rep. Eric Pettigrew, D-Seattle, Rep. Ruth Kagi, D-Shoreline, and Sen. Maralyn Chase, D-Shoreline. But funding for the wage ladder ended during the recession, and legislators never restored it, choosing nice-sounding words instead of dealing with the nitty-gritty of compensating the people who are responsible for some of our youngest and most vulnerable kids. It doesn’t have to be this way. The wage ladder is a sure bet. It’s been evaluated over and over again, showing that it succeeded in improving teacher education, compensation, morale and quality of care. Now that the 2016 legislative session has started, there is a new budget to build. The Legislature could find the resources to fund the career and wage ladder for early learning teachers.